To generate resources I joined a society that worked with snails. We trained with different state agencies and after a long road I decided to start as an independent. I did it thanks to the support of institutions such as Prodemu, Sercotec, Fosis, Indap (Prodesal), Corfo, Sernameg, Fondo Esperanza and the support of the local municipality. Today I direct my own company and participate in various fairs to which I am invited, forming part of a tourist route (visit Cachapoal) and Enoruta (the wine route). We have a wide offer of natural products of snail extract hundred percent handmade and we have achieved a good acceptance among customers throughout the country. Currently I have my own registered trademark -Terracol- and I send to all the regions of our country making my work known. I have my own plant of snails that I cultivate in the most natural way possible avoiding chemical products. Nao Victoria Museum: Scale 1: 1. The Nao Victoria Museum is a permanent exhibition in which life-size replicas of vessels important for the history of the Magallanes Region are found and which have sometimes marked the world chronicle. Such are the Nao Victoria, James Caird, HMS Beagle and the Ancud Schooner. Incredible profiles of courage hide under its woods. The museum is located on the shores of the Strait of Magellan, 7.5 kilometers north of the city of Punta Arenas. It has been running for ten years and seeks to rescue and value the cultural heritage of the great navigators. Its founder, who is an expert cartographer, traveled with his idea for Europe, brought plans for Seville and Oporto. Nao Victoria was a boat of twenty-seven meters in length and seven in length, which was part of the fleet that, commanded by Ferdinand Magellan, discovered the passage by sea across the American continent. It was the only one of the five ships to complete the circumnavigation of the globe for the first time at the final command of Sebastián Elcano. 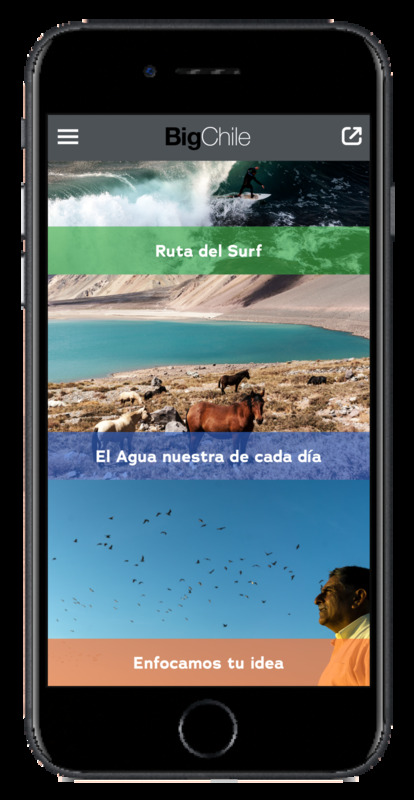 Ubiavis is a service that, through the use of remote cameras, allows anyone in the world to observe, monitor and investigate the Shrine of the Nature of the Lluta River Wetland, located in Arica, Chile. Ubiavis was born with the idea of howing this wetland remotely and through cameras, to birdwatchers of the world (80 million). But it also intends that observers from other latitudes can use the camera. The technology was there; it has only been necessary to make the adjustments. The dream of Ubiavis is that there is free access to this service to any interested party to take care of the flora and fauna of the planet. Hopefully it is possible to install one day a Ubiavis Tower in the Chilean Antarctic. Entrepreneurship is an enviable way to be alive. There are as many potential entrepreneurs as there are minds, as many ventures as dreams. We all carry some spark of practical invention in our spirit. You just have to know how to wake her up. Chile, a country that is said to be poets and adventurers, has the human potential to consider new challenges that respond to the expectations and needs of our time. Lanarq is a company founded in 2015 in Coyahique by María de los Ángeles Lobos and Andrés Villouta, architects who designed, manufactured and certified an insulating material that uses natural sheep wool fibers from the Aysén region. Its objective is to improve the energy efficiency of buildings, designing more healthy and comfortable spaces. This reduces energy consumption in heating or air conditioning. Through the virtuous circle of wool, a more sustainable relationship with the environment is provided.